When it comes to finishing out tenant space in the Dallas-Ft. Worth area, Prism General Contractors, Inc., is the contractor to call. We are the experts in commercial buildings and tenant finish outs, whether it's a small office or new corporate headquarters. At Prism General Contractors, Inc., we take pride in our work and strive to earn the privilege of your business every step of the way. It's that simple. We can handle single floor projects all the way up to multi-floor skyscrapers. 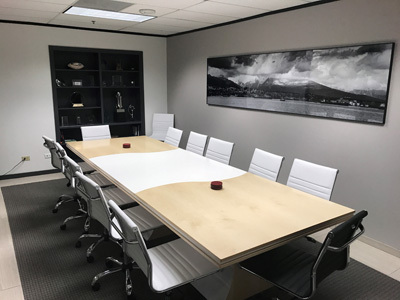 Whether you desire to create a space that spells permanence and success, such as might be found in an upscale law office, or modern utilitarian work space for telecom workers, or anything in between, we have all the capabilities you need. We have design teams that can help make your vision a reality. Our clients come away from projects with pride and peace of mind regarding our work. We are ready to meet with you and/or your architect to create layouts and specifications. Give us a call, no job is too big or small.